Vip bar lounge, located in the The Level area. A unique space on floor 7, boasting stunning panoramic views of the sea, the peninsula and the marina. Its décor is based on marine motifs: old navigation maps, compasses and telescopes. It has a lounge area, bar and terraces. The à la carte service is excellent. There is a range of delicious snacks available at breakfast, lunch and dinnertime. 24-hour bar service and room service. 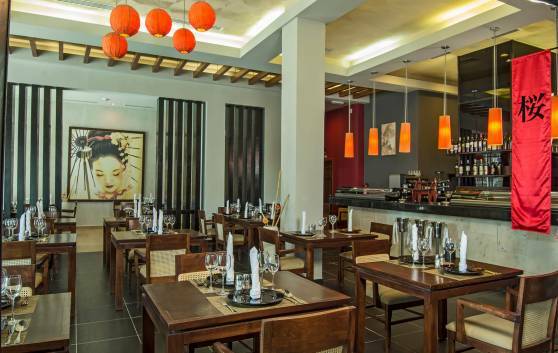 Located in the shopping gallery area, this restaurant is a magnet for diners wishing to enjoy the finest dishes of the impressive contemporary Asian cuisine. From the classic chop suey and Chinese soup to the sweet and sour specialities, colour and delicious flavours and aromas abound. Its evening à la carte service is impeccable. Restaurant located in the hotel, in the shopping gallery area. 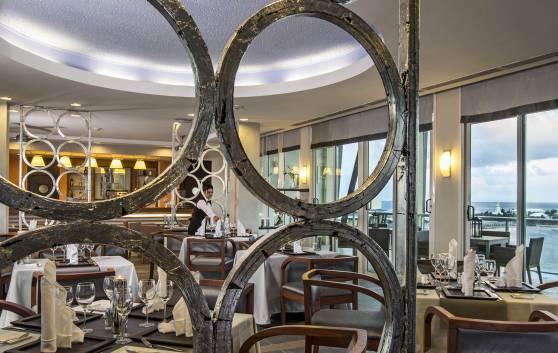 The extraordinary culinary creativity of this stylish à la carte restaurant has distinctively French origins, with an exemplary service based on discretion and speed. And when it is time for dessert, the customer cannot, and should not, resist the exquisite dishes. The wine list is very attractive, with its appropriate range of wines from international brands. Restaurant located in the hotel, in the shopping gallery area. A must for lovers of fine dining, with dishes bursting with delicious flavours and aromas. 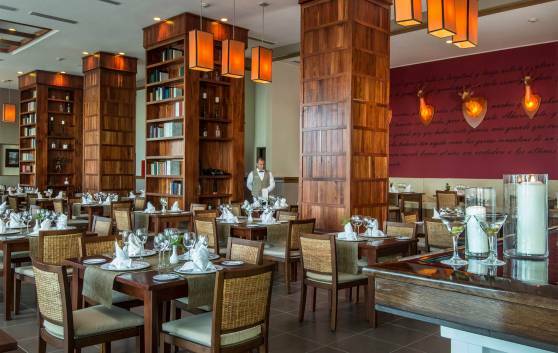 The restaurant is a temple, where the creativity of clear Latin origins reigns supreme, complemented with touches of traditional Latin cuisine. Excellent à la carte service; wine list with a range of international wines. Located in the hotel, in the shopping gallery area. A tranquil restaurant, with an intimate atmosphere, specialising in charming first-class Mediterranean food, with an interesting balance between the modern and the traditional. It boasts an extensive wine list including the finest wines of the world. Its à la carte service is excellent. 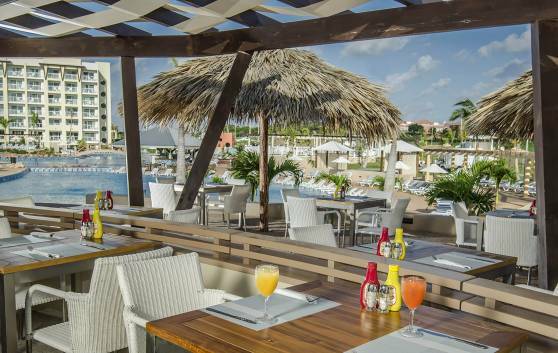 The cuisine of this Cuban restaurant, right on the beach and connected to the hotel via a raised walkway, is highly renowned for its delicious grills, with heaps of originality, exquisite in all respects. 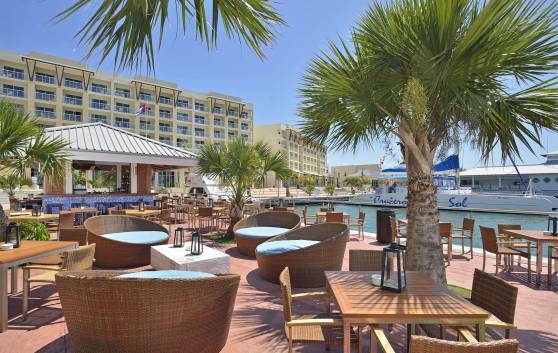 It boasts a lounge, pergolas and terraces with beautiful marine décor. 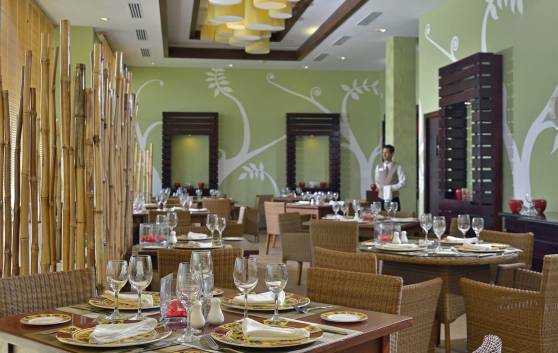 It offers an excellent à la carte lunch and dinner service. 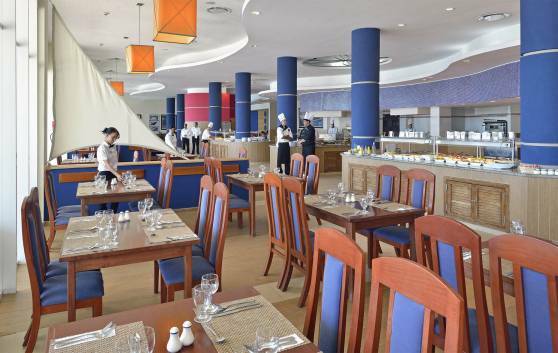 A restaurant located in the hotel lobby offers buffets that are extremely popular, due to their wide range of international-style dishes. It features one attraction in particular: the roasts, fresh from the oven, which are carved in front of the guest. 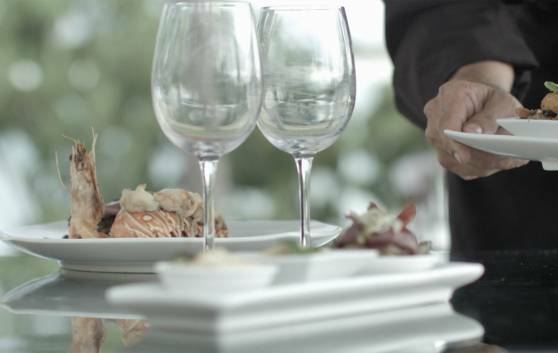 The service is impeccable and the wine list includes wines from international brands. Who would doubt that the flavours of the grill taste better by the beach? 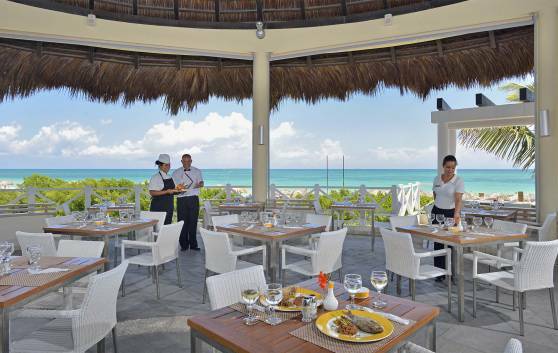 This snack bar grill is proof that the sea and sand of Varadero can create the ideal setting for lunch at any time of year. 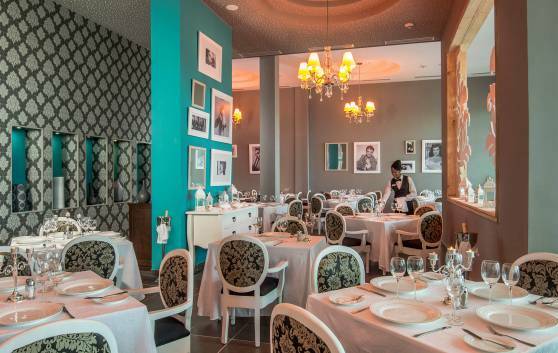 Two worlds created through two decorative styles: the classic vintage glamour of gourmet cuisine and the nostalgic, adventurous nature of Latin dishes. Two worlds become one in this welcoming snack bar, serving a fine selection of international brands of spirits. Located on the seafront. A refreshing and attractive environment, with tropical and Caribbean touches. 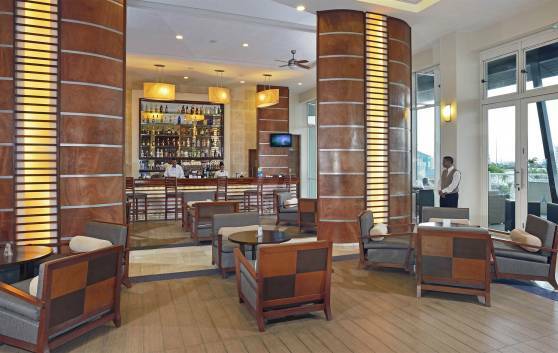 This is a place where you can enjoy rums and rum-based cocktails. The service is efficient and attentive to start off your evening. 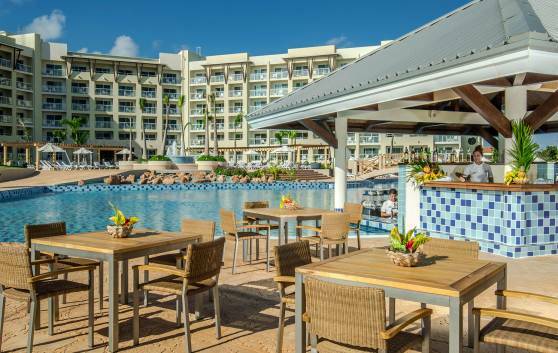 The Acua Bar is located in the main swimming pool. It offers an excellent service at the swimming pool and on the terrace, with a wide range of national and international drinks and cocktails. 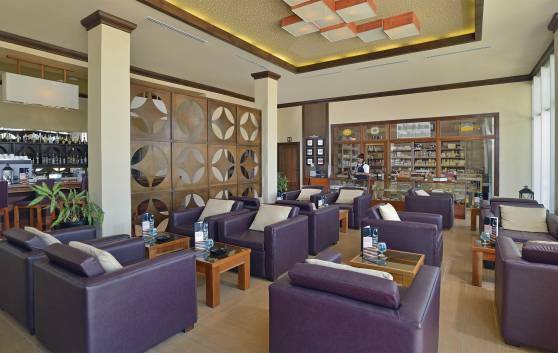 This bar, located in the area of the main lobby, has a piano to keep you entertained with some beautiful melodies, as you enjoy an aromatic coffee or your favourite drink, perhaps served with a snack. The décor has clear sailing references. 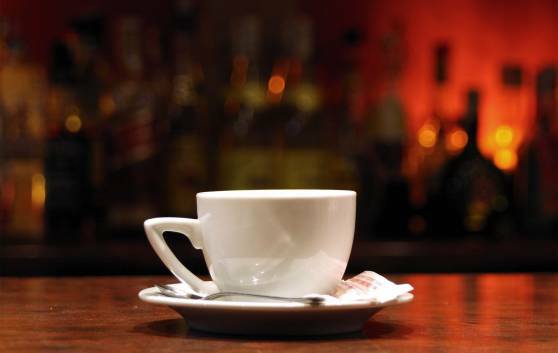 In the evening it offers an à la carte service of snacks and delicious drinks. 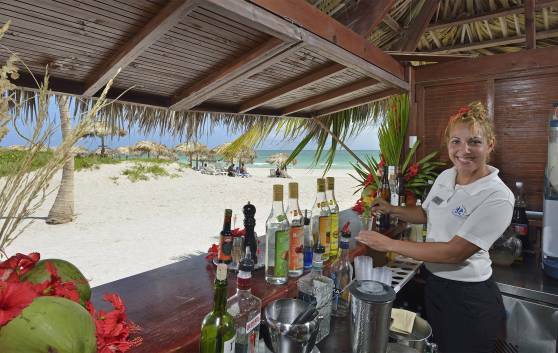 This bar is located near the Ranchón, right on the beach, offering a range of refreshing drinks and cocktails, whether you prefer a margarita or a mojito with fresh, green mint. An attentive and efficient team of staff will be at your service. Located in the shopping gallery area, a welcoming, comfortable space with a bar acts as a meeting point, where guests can enjoy their favourite drink, smoke a cigarette or a perfectly preserved cigar in peace, or socialise at any time of day. A snack bar located in the recreational area of the main swimming pool, with modern, marine-themed décor, connected to the beach by a raised walkway. It boasts a lounge, pergolas and terraces, overlooking the swimming pool. It offers an excellent à la carte snack service at breakfast and lunchtime. 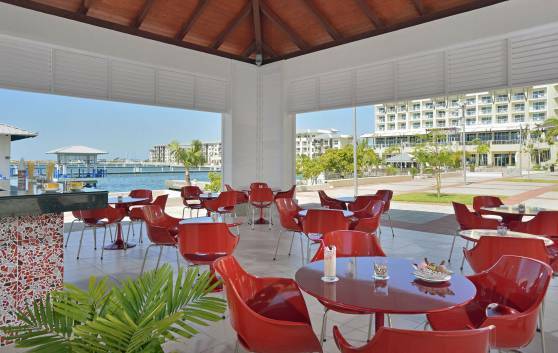 The ice cream parlour is located on the seafront, very close to the hotel's central pool. It has a lounge and terraces with bright and cheerful décor. 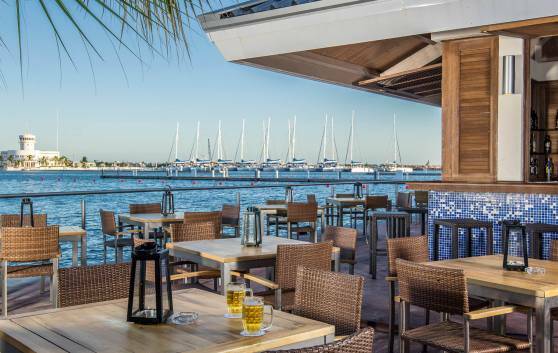 It boasts beautiful views of the sea and the marina, and serves some delicious snacks in addition to ice creams. The à la carte service is excellent.